Some came to forgive. Others said ex-Dorchester funeral director Joseph V. O’Donnell deserves to suffer for mishandling the remains of their loved ones and stealing their money. One by one, they faced O’Donnell on Wednesday in Suffolk Superior Court and described the anguish they’ve felt since learning they had been betrayed by the man entrusted with carrying out the final wishes they laid out for themselves or their relatives. 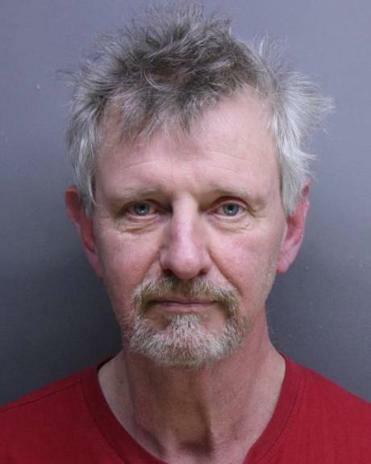 O’Donnell, 57, was sentenced to three to five years in prison followed by five years of probation for stealing nearly $150,000 from clients and keeping bodies in a Weymouth storage facility. He also must pay restitution to his victims. “You put my son in a storage bin for two years. You had me carrying ashes for two years that [were] never my son,” said April Hopkins, 47, of Randolph. Hopkins said she only learned in the summer of 2014 that her son’s body had never been cremated and was among 12 bodies that investigators found in the Weymouth storage unit. Hopkins’s son, Joshua Wright, 26, died in a car crash in Brookline in 2012, she said. An ex-Dorchester funeral home director allegedly failed to cremate bodies entrusted to him, supplying relatives with unclaimed ashes. O’Donnell pleaded guilty to 49 charges brought against him by prosecutors who alleged he sent the wrong remains to some families, left a dozen bodies a self-storage unit, and stole nearly $150,000 from 31 people who paid for their funerals in advance. 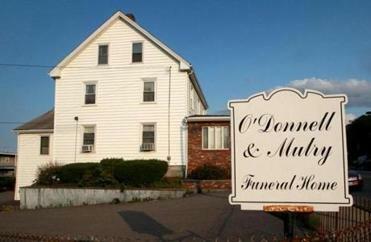 The scheme, the prosecution said, unfolded over nearly five years after O’Donnell failed to renew his funeral director license in 2008 and then lost the funeral home on Neponset Avenue in Dorchester to foreclosure in 2013. While unlicensed, O’Donnell oversaw 201 burials, cremations, and funerals, according to Suffolk Assistant District Attorney Greer Spatz. A macabre part of the case was uncovered in July 2014 when investigators found the 12 decomposing bodies in the Weymouth storage unit. Police and prosecutors identified the dozen bodies and located family for 11 of them, according to the office of Suffolk District Attorney Daniel F. Conley. Eight of those families had received cremated remains that O’Donnell said belonged to their loved ones, though investigators determined the ashes were not their relatives, Conley’s office said. O’Donnell, who was first licensed as a funeral director in 1980 and worked at the funeral home established by his grandfather, apologized and said he pleaded guilty to avoid a trial. Defense lawyer Andrew Stockwell-Alpert said Spatz’s request that O’Donnell spend five to seven years in prison was too harsh given that the crime that caused O’Donnell’s victims the most harm was improper disposal of a human body, an offense punishable by up to six months in a county jail. He asked that O’Donnell spend no more than five years in prison. Carol and Leo Shamshak of Quincy, who are 76 and 77, gave O’Donnell $12,250 to pay for their funerals, according to their daughter, Allison Cole. The money has disappeared. Hopkins’s daughter, Shadawn, said she entrusted O’Donnell to cremate her baby who lived for six hours after being born prematurely in 2011 and now doesn’t know whether she has her ashes. Shadawn Hopkins said she has forgiven O’Donnell, but nothing will erase what her family has endured. Another victim, Marion Keen, 81, of Hingham, was escorted to the witness stand by a court officer. She said O’Donnell stole the money she set aside for her funeral. Still, Keen said she forgave him and left the courtroom before O’Donnell learned his punishment. Laura Crimaldi can be reached at laura.crimaldi@globe.com. Follow her on Twitter @lauracrimaldi. John Ellement contributed to this report.